Motivated crews ready to help! 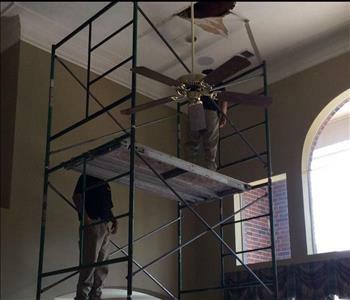 Too high for ladders. No problem! SERVPRO of Bear Creek assisting our neighbors to the north. Way north! 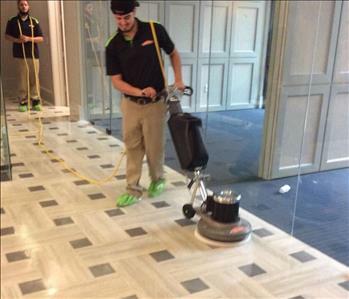 Tomas and Carlos working on a floor polishing. They left this floor looking nice and clean. Marisella is one of our most experienced workers who has been in the industry for over fifteen years and has been in the SERVPRO family for over five years. She is a fan favorite from our customers because of her excellent cleaning and attention to detail skills. Mari maintains a positive, honest and straight forward attitude while giving her all from beginning to end. Mario has been with our SERVPRO family since 2016. He is currently our Crew Chief and sinceryly believes "what you give is what you get". He brings a great attitude and even better customer service to each and every job here at SERVPRO of Bear Creek. 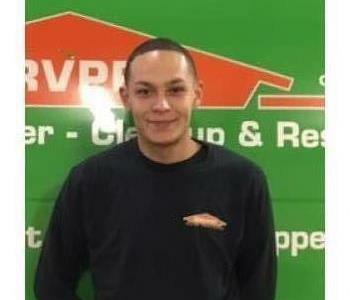 Raul has been with the SERVPRO family since 2014. His positive attitude and loyalty to the company proves his value to our franchise. He enjoys helping others and going the extra yard for them in their time of need.